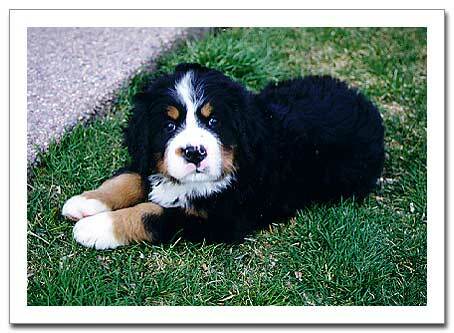 There is nothing cuter than a Bernese Mountain Dog puppy! We’ve had a couple of litters and would like to share some puppy photos with you. And, this page also provides a few links to puppy information and resources. Each “article” on puppies is on a separate page of this site. You can move around from page to page by using the navigation at the top or bottom of each page. Page 2 has some links to puppy resources. The other pages have photos of puppies. We hope you enjoy seeing photos of puppies and learning more about Bernese Mountain Dogs.